A big, huge, heaping, massive, gargantuan, air-water-nitrogen cooled, overclocked and pristinely cable-managed welcome to Tom’s Hardware! We're incredibly glad to have you with us, and we hope you'll enjoy your visit to the largest hardware community for tech support questions and answers, product recommendations, and tutorials! To help get us all better acquainted with one another, I've set up this introductions thread so that we can get to know each other a bit more. If you've just registered on the site, please take a moment to introduce yourself and tell us a quick thing or two about you. If you've been with us as a long-time veteran of Tom’s Hardware (or its sister site, Tom’s Guide), we'd also encourage you to re-up on your intro for those who might be lurking about. To start, I'm jpishgar, Community Director here at Tom's. I've been a community goober in game development and tech communities for well over a decade and a half. Like many of our experts here, I learned how to build my own PC in order to play the latest games and squeeze every last drop of power from my rig. Little Known Fact About Me: I can flawlessly sing "Nations of the World" by Yakko from Animaniacs. Try me. Tell us a little bit about yourself, and do toss in a little known fact about you! I'm Jon, ex bassist for some people. I been reading stuff here at Toms forever, like ya. Seems like 17 or 18 years now. I like helping people out when I can in the forums and such, and read lots to get better every day. I like AMD. but I'm not into the fanatical anything, if something is good, I'ma use it, looking for the best gaming experience. Still like the old games. When I heard they were remaking Syndicate, I nearly lost it, I loved that old Bullfrog game. If you know what I'm talking about, we can be friends. Little known fact, I help run the worlds largest Banded Weasel retreat in FL. Oh ya, and in the early 90s I dated Dot from Animaniacs. Hi, I'm Prashant. I'm involved in IT sector as a software developer. Interested in games, PC builds and mods. I have a thing for finding creative solution to use out of date machines so they are no longer out of date. A hearty high ho and away to one and all. A year into retirement after dodging RIFs for 16 years. Running into issues on a 5 year old system and taking my first shaky steps in the DIY world and realizing how out-of-date I am to current PC tech. Just a novice at this who been interested by reading your forums and i hope to build my own gaming rig. Howdy! Retired (early) energy industry exec. Certified Public Accountant and MBA. Home recording studio for about 20 years (currently a Pro Tools setup). Play guitar, bass, drums, and light keyboards. 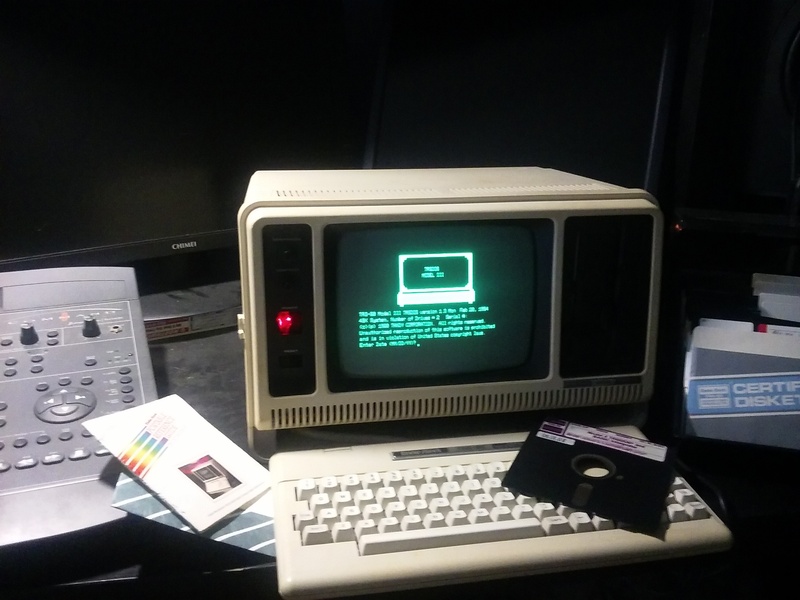 Started getting into building computers about 5-6 years ago, although my first computer shown below was bought used in about 1984. It still boots up using the 5 inch floppy disks, but only a novelty at this point. No HDD, storage on floppy's only. Sweating it out in Houston, TX. Greetings. My name's Axel, and I'm a 16 years old boy who loves art and video games. I'm not the most social person in the world, especially considering how "socializing" isn't my best skill. But I don't mind having a nice conversation with people... Sometimes. Fun Fact: I can play the flute. Which flute? I... Don't know what it's specifically called, but I can play it... With one of my nostrils! Betcha can't do that, hm? I am Nitin from India. Hi im ronald, 20 years and im from the netherlands. I like games and trying to solve problems when something doesnt work. Currently having trouble with my pc again. But this forum always helps a lott when in need of electrical assistance. Lee here. Been using Toms since 2001? Same with newegg. I love this site and it's forums! Looking forward to participating in the forums. I live in Dallas, Texas, retired from a Semiconductor company and now enjoying my free time. Thanks for accepting me in your site and also thanks in advance to all the subscribers who will provide avise on new products and help on any technical questions I may have in the near future. Or you can use that site to do an online chat with them. Question Motherboard/GPU Not Displaying - Help!